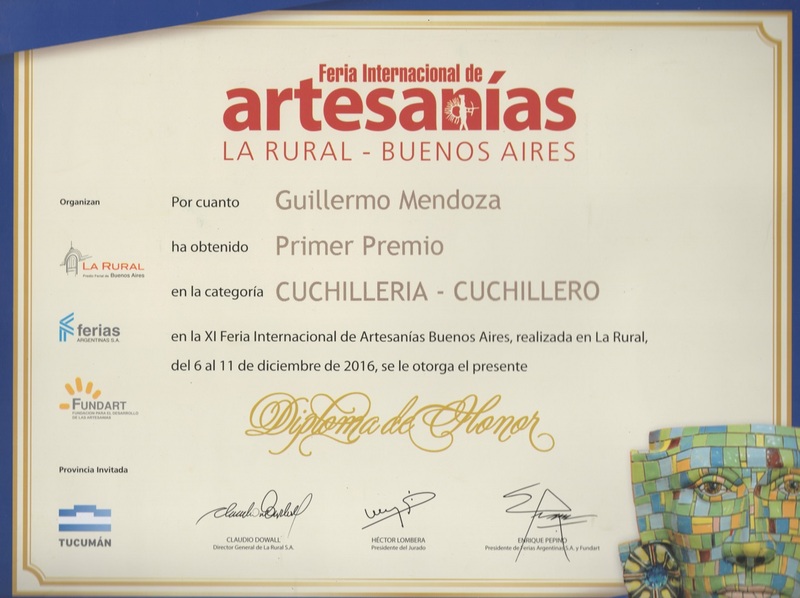 In December 2016 we had the opportunity to hold the International Handicrafts Fair in La Rural, Buenos Aires. Hundreds of artisans from all provinces showed their works in different areas, including several smiths. We were pleased to be recognized with the First Prize in cutlery.